Judo is a modern form of martial art. It is a very popular combat form, especially on the Olympic Games. 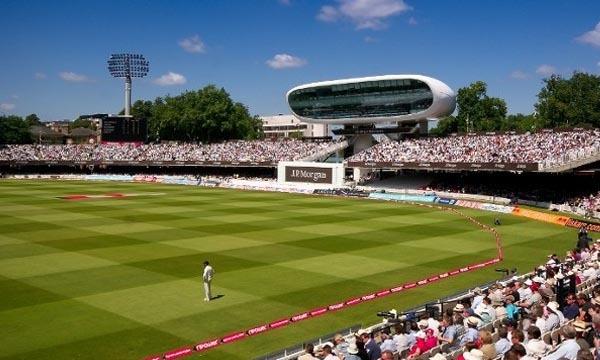 It was created in Japan in 1882, and since then, this sport has become wide-spread, especially in competitive tournaments. Over time, the philosophy and pedagogy of judo served as the model for the development of other modern Japanese martial arts. Judo has become a worldwide phenomenon in the sports and martial arts industry, and has resulted in developing a number of offshoots like the Brazilian jiu-jitsu and the Sambo. The practitioner of this art is known as a judoka. With the widespread popularity of judo all around the globe, the judokas have gained immense respect in the field. Here is a list of 10 Best Judo Players of All Time. 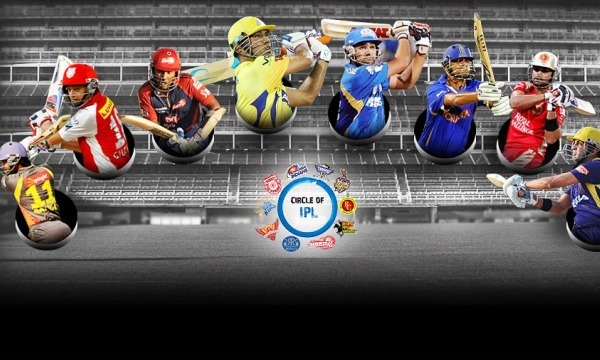 Let us take a quick look at their achievements. Former Japanese Judo artist Hitoshi Saito achieved two consecutive gold medals at the Olympic Games and is the tenth place inductee in our list of 10 Best Judo Players of All Time. He first won the gold medal at the 1983 World Judo Championships in the open weight division and, the following year, won another gold medal at the 1984 Los Angeles Summer Olympics in the heavyweight division. 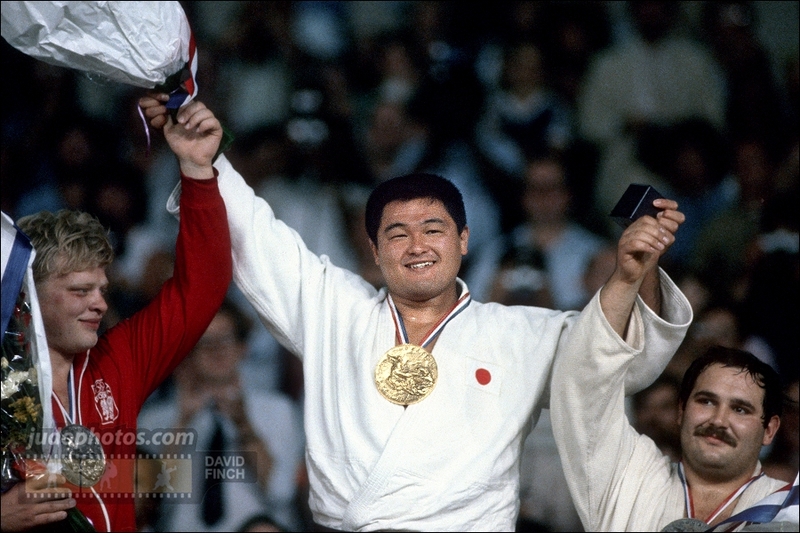 Hitoshi successfully defended his title and won yet another gold at the 1988 Seoul Olympic Games. He became an instructor of the All-Japan Judo Federation and Kokushikan University shortly after his retirement. He is also the coach of the Japanese judo team that participated at the 2004 Summer Olympics. Hitoshi Saito was awarded the Order of the Rising Sun by the Japanese Emperor after he died on January 20, 2015. 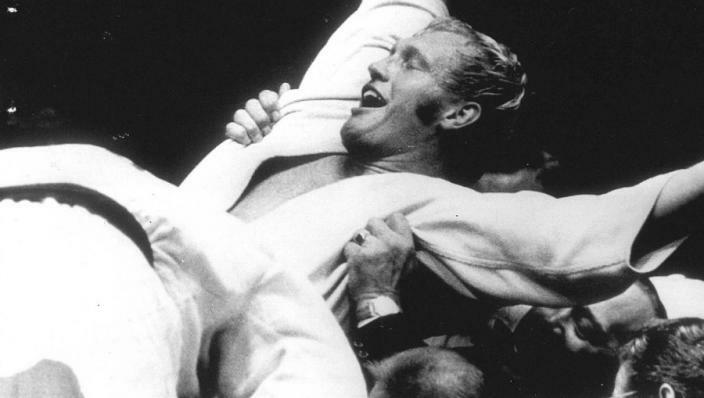 Legendary former Dutch Judo artist Willem “Wim” Ruska is the only judo player in history to win two judo gold medals in one Olympics, a feat that he achieved in the heavyweight and absolute categories in the 1972 Olympic Games. He is largely noted as one of the most dominant judo players during his heydays and is the ninth place inductee in our list of 10 Best Judo Players of All Time. Ruska won five European titles in the 93Kg Category and two more European titles in the open category in his active judo career. 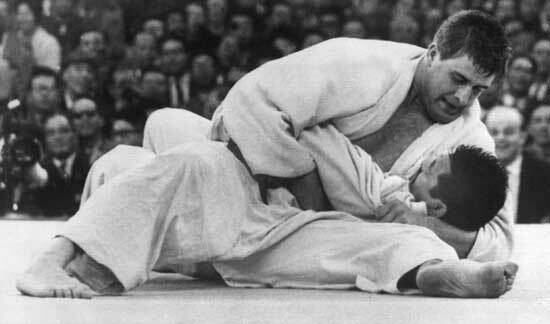 He also won the Judo World Championship twice in 1967 and 1971. He participated at the New Japan Pro Wrestling after his retirement from judo after the 1972 Olympics. Wim Ruska was recently inducted in the Hall of Fame of the International Judo Federation in 2013. 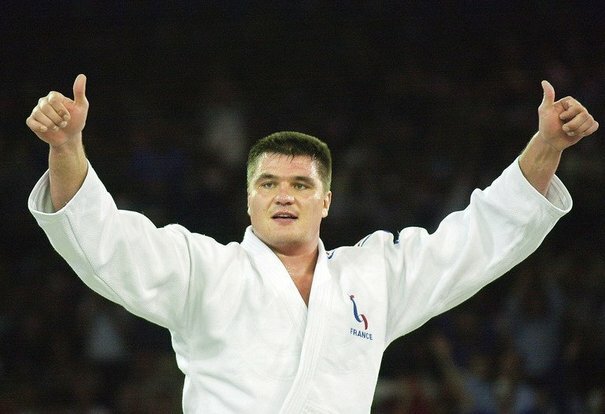 Retired French judo artist David Douillet is also noted as a political activist and is the eighth place inductee in our list of 10 Best Judo Players of All Time. He first won the Olympic gold medal at the 1996 Atlanta Olympic Games and defended his title successfully again at the 2000 Sydney Olympic Games both in the heavyweight division. David Douillet, during his active judo career, won four world championship titles and a European title. He is also noted as one of the most decorated judo artist in the history of Olympic Games. Douillet, after his retirement from active sports, was appointed as the Secretary of State for Abroad French nationals on 29 June 2011 in the François Fillon Cabinet. He then became Minister of Sports on 26 September 2011. 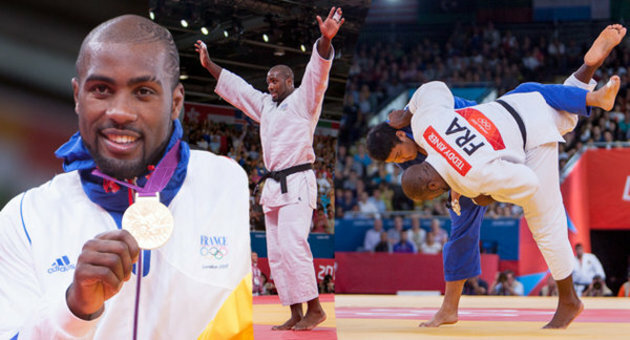 French judo artist Teddy Pierre-Marie Riner is the first male judo player to achieve seven World Championships gold medals and is the seventh place inductee in our list of 10 Best Judo Players of All Time. He won the European Championship gold medals four times and also an Olympic gold medal in his active career of Judo. He is currently coached by Christian Chaumont and Benoit Campargue, and is a member of the Levallois Sporting Club in Levallois-Perret. Teddy Riner first won the World and European junior titles in 2006 and achieved his first senior title in the European Judo Championships in Belgrade in 2007. He became the youngest ever world champion after winning the 2007 World Judo Championships in Rio de Janeiro. Riner, for his excellence in Judo, received the Chevalier de la Légion d’honneur in 2013. Georgian-born Greek judo artist Ilias Iliadis holds the honor of being the first athlete to march into the Bird’s Nest Stadium at the opening ceremony of the 2008 Beijing Summer Olympics and is the sixth place inductee in our list of 10 Best Judo Players of All Time. He started competing for Greece in international events since his childhood and achieved the gold medal at the 2004 Athens Summer Olympics in the half-middleweight division. Iliadis also achieved the title of the 2010 World Judo Championships in Tokyo in the 90kg category. He won the European Judo Championships held in Istanbul in 2011 in his own weight category and became the title holder of the World Judo Championships in the same year. Ilias Iliadis recently won the World Judo Championships in Russia in 2014 in the Middleweight division. 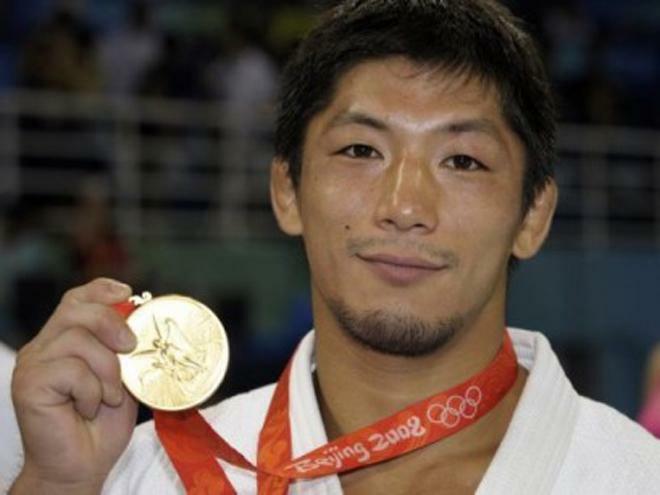 Japanese judo player Masato Uchishiba Won two gold medals in the Olympic Games and is inducted in the fifth place in our list of 10 Best Judo Players of All Time. He first won the Olympic gold at the 2004 Athens Summer Olympics in the men’s under 66kg category while defeating Jozef Krnáč of Slovakia, and repeated the same at the 2008 Beijing Summer Olympics while defeating Benjamin Darbelet of France. Uchishiba, after winning the Olympic medal, once stated, “I wanted this so badly I wouldn’t have cared if it was my last fight ever.” He started coaching the women’s judo team at Kyushu University of Nursing and Social Welfare from April 2010 in Kumamoto Prefecture. Masato Uchishiba was later released from his duty following a sexual harassment allegation in November 2011. Dutch 10th-dan judo Artist Antonius Johannes “Anton” Geesink was a two-time World Judo Champion and is inducted in the fourth place in our list of 10 Best Judo Players of All Time. He won the Olympic gold medal in 1964 and achieved 21 European championship titles in his active sports career. Geesink, even after his death on August 27, 2010, remains one of the few 10th Dan grade judo artists officially recognized by the IJF. He started participating in the European Championships in 1951 and won his first title in 1952, and eventually won twenty more European titles till his participation at the event till 1967. Anton Geesink is also noted for defeating Akio Kaminaga in front of his home crowd at the 1964 Summer Olympics which was solely dominated by Japanese players. Japanese judo competitor Tadahiro Nomura is widely noted as one of the most famous judo artists of all time and is inducted in the third place in our list of 10 Best Judo Players of All Time. He is also the first and the only Judo player to win three Olympic gold medals consecutively in the extra lightweight event. Nomura won his first Olympic gold while defeating Girolamo Giovinazzo at the 1996 Atlanta Summer Olympics on July 26, 1996, after he won the All-Japan Selected judo championships title in April, 1996. He won the All-Japan Selected judo championships along with the World Judo Championships title in 1997. Tadahiro Nomura eventually defended his title in the Olympic event at the 2000 Summer Olympics and also at 2004 Athens Summer Olympics. He is still regarded as the best judo player in 60 Kg Class. Japanese Judo Artist Yasuhiro Yamashita is currently working as the instructor of several reputed organizations which includes the International Judo Federation, the All-Japan Judo Federation and also for the Tokai University. He is widely regarded as one of the most successful judo competitors of all time and is the second place inductee in our list of 10 Best Judo Players of All Time. Yamashita holds the record of 203 contentious victories from October, 1977 till his final match in April, 1985, during which he remained unbeaten. He became the youngest judo player in history to achieve the title of All-Japan Judo Championships in 1977 when he was just 19 years old. Yasuhiro Yamashita won the 79 World Judo Championships and received the Japanese National Prize of Honor on October 9, 1984. Japanese martial artist Kanō Jigorō is widely regarded as the founder of judo and also the pioneer for making Judo the first Japanese martial art to gain widespread international recognition. He included the black and white belts system in Judo and is inducted in the top place in our list of 10 Best Judo Players of All Time for his amazing contribution towards the sports of Judo. Kanō Jigorō is also noted for his mottos which state, “Mutual Welfare and Benefit” and “Maximum Efficiency with Minimum Effort”. 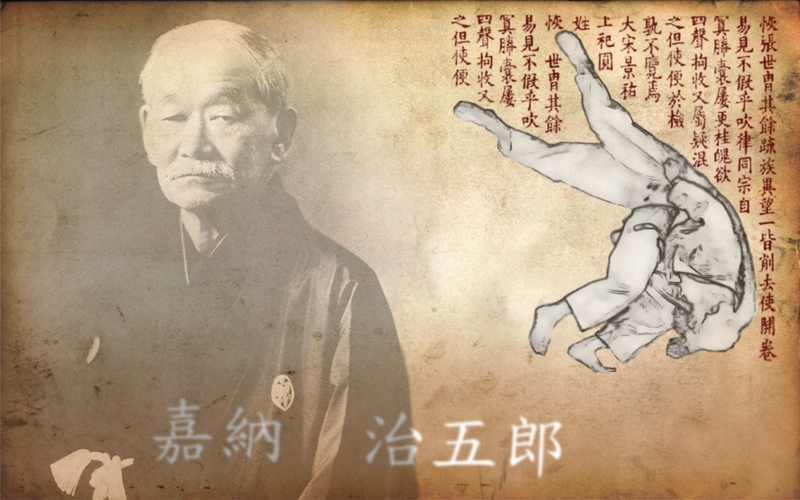 He also played the major role in the induction of judo and kendo in the Japanese public school programs during 1910s. He is also the first Asian member of the International Olympic Committee and served his duty from 1909 to 1938. Kanō Jigorō officially represented his nation Japan in most of the Olympic Games between 1912 and 1936. These judo players, with their achievements, have made great contribution to the art itself, and its acceptance and popularity in various countries of the world. Today, when judo is such a common form of martial art and there are many people train in it for recreational and self-defense purposes, it has these judokas to thank for it all.